Drupal is a content management framework, and it's used to make many of the websites and applications you use every day. Drupal has great standard features, easy content authoring, reliable performance and excellent security. What sets Drupal apart is its flexibility; modularity is one of its core principles. Its tools help you build the versatile, structured content that ambitious web experiences need. With Drupal, you can build almost any integrated experience you can imagine. By technology standards, I'm an old man. I remember when 3.5" floppies became common ("Wow! 1.44MB! These little things hold so much data!"). My childhood hero was Matthew Broderick war-dialing local numbers with his 300-baud modem. I dreamed of, one day, owning a 386 with more than 640k of RAM. At the pace that computing moves forward, I'm practically a fossil. So, if you were to ask me, "What is the best way to encourage kids, today, to get into open source?" Well, I honestly haven't a clue. A rundown of some fun and educational Linux software for kids. I'm probably going to regret that title. I've been making fun of those words, "do it for the children" for years. It's one of those "reasons" people turn to when all else has failed in terms of getting you to sign on to whatever lifestyle, agenda, law, changes to food—you name it. Hearing those words draws the Spock eyebrow lift out of me faster than you can say, "fascinating". Okay, pretend that I didn't start this article with that comment. Let's try this instead. An eight-year-old can contribute, and you can too. Working at a company that creates free and open-source software (FOSS) and hosts all of our code on GitHub, my team and I at UserLAnd Technologies are used to seeing and reviewing contributions, which are called pull requests, from users. Recently, however, we received a pull request that is very special to me. It was from an eight-year-old, and not just any eight-year-old, but my daughter. When I was young, Apple computers dominated the schools I attended. The Apple II and, later, the Macintosh Plus were kings of the classroom in the late 1980s. As with Linux, these kids are all about making things—and then making them better. They're also up against incumbent top-down systems they will reform or defeat. Those are the only choices. Your browser does not support the audio element. Reality 2.0 - Episode 17: Be Afraid. Be Very Afraid. 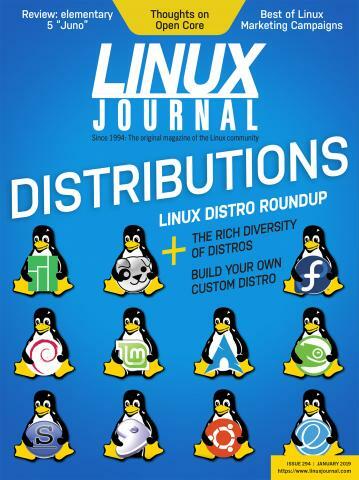 Do we need a "Gateway Drug" Linux distro?